Mei Kei (Maggie) grew up in Hong Kong and has lived in Australia. She was trained as an architect and had a previous academic life focusing on traditional architecture and constantly questioning what constitutes the intimacy of a home. She has travelled to villages and historic places across Asia and especially at the Tibetan Plateau. 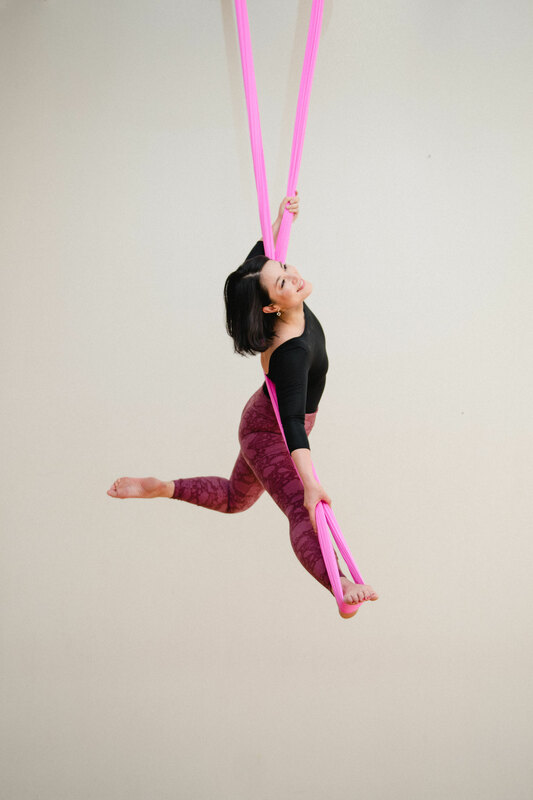 She moved to New York in 2015 and took her first aerial class and was immediately hooked. 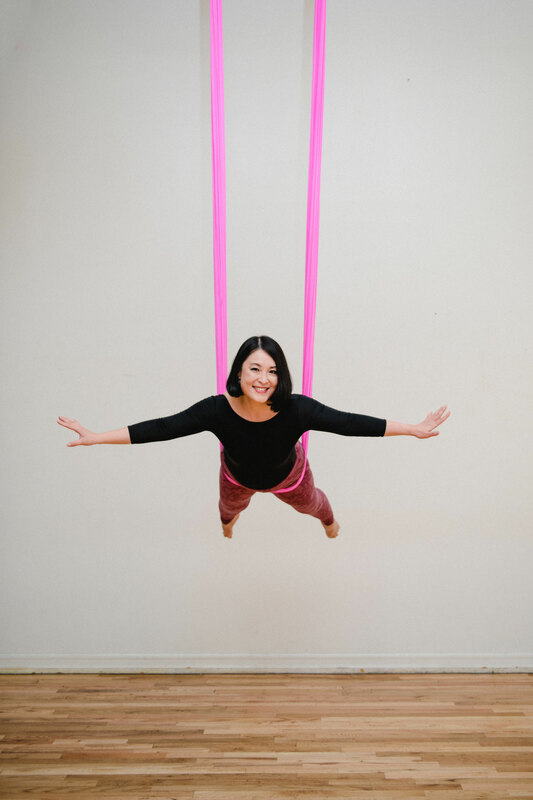 She was overwhelmed by rediscovering the joy of playing like a child again; climbing up and down; creating different shape gracefully and floating in the hammock feeling safe and sound. It was empowering both physically and mentally. It was also at the end of her first class that she has sowed the seed wishing one day she could share the same joy with others as well. And her dream come true. Mei Kei’s interest has always been connecting bodily experience with our inner world. 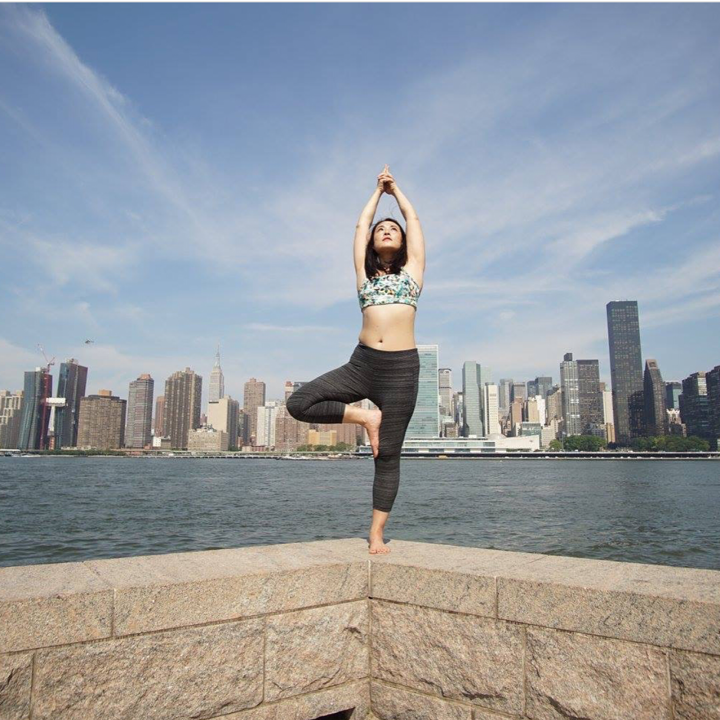 Having years of interest in bodily space, yoga, and singing bowl practice, she believes the exploration of our bodily architecture through movement and senses can brings us closer to discovering our inner-self, and be in tune with the mother nature. 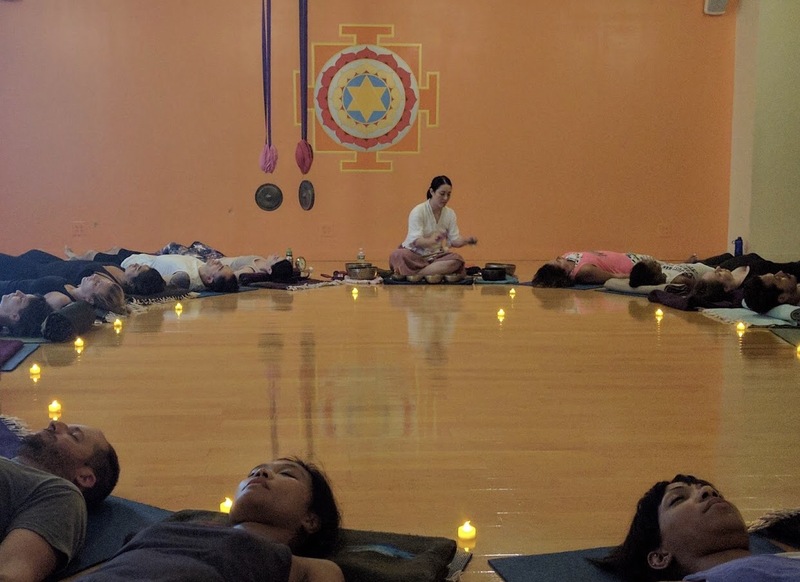 In addition to her yoga trainings, she has studied Yoga Nidra with Mary Aranas and Prenatal Yoga with Mahamama and is currently completing her 100 hour Restorative yoga training with Mary Aranas. 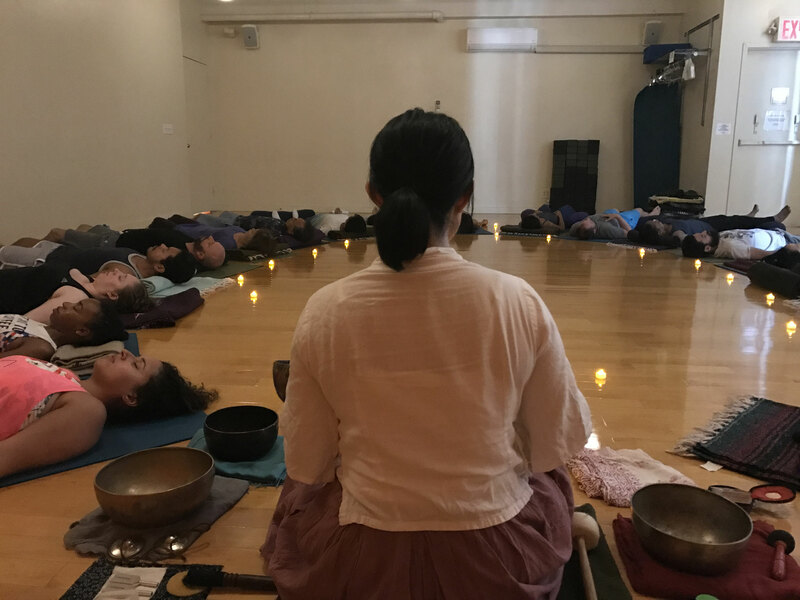 Since 2016, Mei Kei has been running a workshop here in New York on body and mindfulness called “Sound & Touch”; bringing her love in singing bowl and sound work and in collaboration with her YTT soul sister Grace Pulliam. 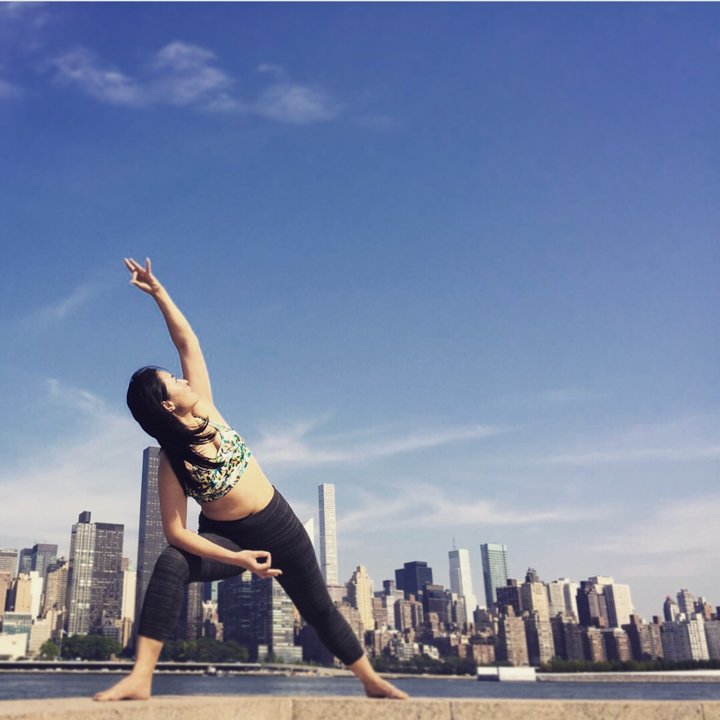 Mei Kei hopes that through her classes everyone goes home feeling more grounded & connected, yet still with a sense of lightness and heartfelt joy. Maggie frequently co-teachs our Sound and Touch workshop, check back frequently to stay up to date!